Thanks, Mail Carrier | Hot Summer Fun for Baby Giveaway from Mutsy, kokopax, Kushies and pediped! 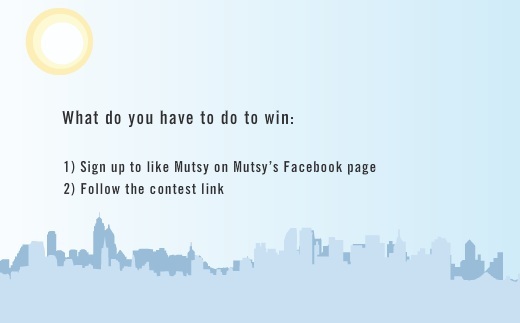 Hot Summer Fun for Baby Giveaway from Mutsy, kokopax, Kushies and pediped! If you're bummed that you didn't win my kokopax giveaway or pediped giveaway from the ending-soon Anniversary Bash, there's no need to even worry. There's something even better going on that you're not going to want to miss. 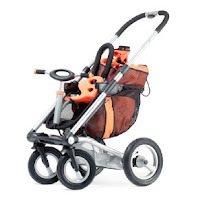 From Mutsy, one lucky winner will take home a Funseat, Mutsy's brilliant little seat for toddlers that lets them "steer," along with a Funseat duffle bag (great for transporting all of baby's gear for those fun outings to the beach, playground and amusement park. The winner will also receive a sleek 4 Rider frame to go along with their Funseat for the complete travel package. Total prize value: $550. From kokopax, the second winner will receive their eco-classic carrier, the premium carrier in their stylish collection. In incorporates the latest technology in green textile printing and consumer safety. A 5-point harness assures safety and security for both baby and parent and the adjustable frame provides the perfect fit for mom or dad. Using the convenient kickstand, the carrier is simple to load or unload. As a bonus, the winner will also receive one of kokopax's adorable baby sun hats. Total prize value: $200. 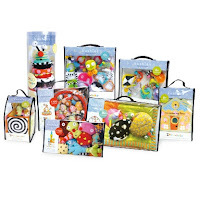 From Kushies, another lucky winner will take home a $100 gift basket of toys from Kushies' award-winning Kushies Zolo toy line. This collection encourages self-expression, builds self-confidence and inspires the imagination. Zolo's progressive design stimulates the recruitment of a greater variety of brain cells than traditional baby products, which helps to create a more open-minded, flexible thinker. Total prize value: $100. From pediped, the fourth winner will take home three pairs of shoes from pediped's new Grip 'n' Go collection, the perfect shoe for the active toddler. 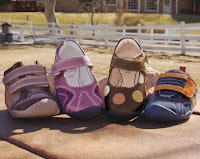 pediped Grip 'n' Go are ideal for a toddler transitioning from early walking to walking with a more confident stride. The rounded edges of the shoe mimic the natural shape of a child's foot and the heel stability and soft toe box allow toddlers to feel and grip the floor. Total prize value: $150. 1. This giveaway is open to United States residents who are at least 18 years of age and will run from August 20 - September 30, 2010 (at 11:59 pm EST). For more details, feel free to read the official rules. 2. Entering is simple. 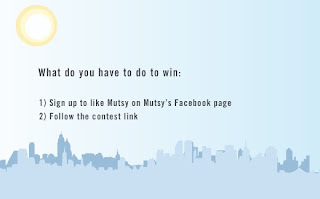 Head over to Mutsy's Facebook page, sign up to "Like" them and then just fill out the entry form. No crazy hoops to jump through or stunts that you have to do, just sit back and wait for an email saying that you've won. This couldn't be much easier and with such great prizes, I went straight over and entered. Are you going to join me?